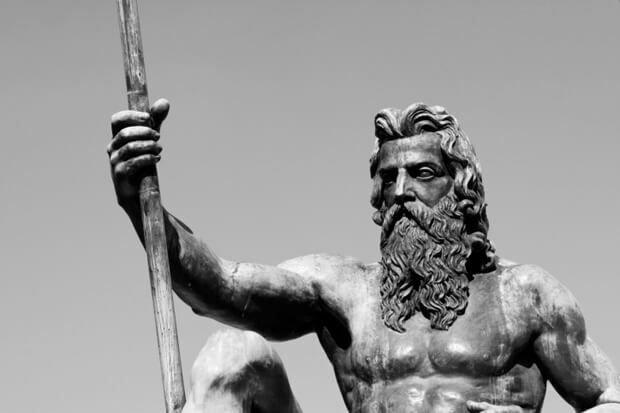 Poseidon is the Ancient Greek God of Earthquakes. With the recent earthquakes in Italy, I decided to try and find out what was going on and what was a possible cause. Earthquakes were often signs of a God or Goddess’s displeasure (something which are a form of imbalance). This imbalance might be a slight by humans. If it is, then it is not literal but symbolic. The narrative with the God or Goddess might appear biblical with much talk of smiting etc but the reality is that something has gone wrong. Modern people have lost the ability to ascribe natural disasters to the Gods, or God or anything other than natural forces. Thus, they become disconnected from them and lose their right to negotiate or appeal to those forces – or resolve the crisis. A subtle change in mindset however enables us to become more intimately involved. The invocation I did resulted in a meeting with Poseidon (Neptune) who is probably one of the most by-passed Gods in human history. An Earth God, he once ruled the Mycenaean Greeks for a thousand years before he was replaced by Zeus. He was too powerful to ignore or remove. By the time of Hesiod and Homer he had become Zeus’s brother and allocated the domain of the ocean. The issue with this was that some of his titles remained the same… so you find him being called the earth shaker and performing very earthy functions in the Iliad. While humanity depended on the ocean Poseidon was still a vital god and attracted a considerable amount of attention. With the rise of Christianity, he was replaced by angels and saints like the rest of them. The rise of modern paganism bought the old gods back. They took very strange forms, but at least they were there. 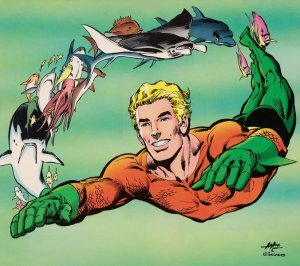 But with our dependence on the sea greatly reduced, Poseidon has been called less than the rest and was frequently misunderstood being relegated to the much maligned comic book hero Aquaman. 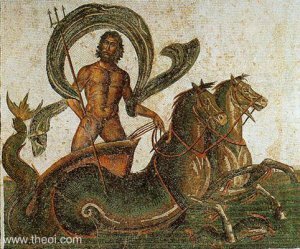 What we are seeing with the increasing number of earthquakes is Poseidon making his comeback and demanding attention and above all respect. In other words, he wants people to talk to him and work with those earth/ water forces again. When this balance is restored, he will no longer need to throw his weight around. This work is specialist stuff and I don’t know anyone who has the urge to make this sort of contact, but as magicians we can still provide Poseidon with part of what he wants. This is to acknowledge him. This will be stage one in recognising this important Godform and asking it for help. I have written the following ritual for people to experiment with this contact. It requires you to have a picture or statue of Poseidon and a blue candle. Feel free to distribute it and above all use it. Pause and see the elemental king see what it says and then let it depart. Allow yourself to become bigger and look to the North where you will see Poseidon sitting on a white horse. Occasionally he will shove his trident into the ground which shakes. He is angry. You part stone crush houses like water. Thee I invoke to save us from pain. To save us from your wrath. As you rule the sea. As you saved Aeneas, the founder of Rome may you save Italy from Thy Shaking Earth.